Lucy is also a signature member of the the Pastel Society of America, and a Master's Circle Artist in the International Association of Pastel Societies. Dr. Petrie received her doctorate in clinical psychology from the University of Vermont and has been in private practice in South Burlington, Vermont since. Practicing outside the managed care environment, Lucy works with adults and adolescents in individual, group and couple therapies. 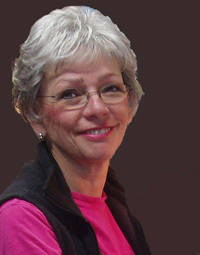 Lucy’s approach combines psychodynamic, cognitive-behavioral and mindfulness techniques. Dr. Petrie has taught at the University of Vermont and Trinity College. If you have depression, anxiety, history of trauma, relationship problems or are in search of love, she can help. Couple therapy makes up a large part of her practice. Dr. Petrie is also accomplished in hypnosis. The office is open Monday - Wednesday.